John Paul the Great Catholic University was created in 2003 as the Catholic University for Creative Arts and Business Innovation. We believe in the power of beauty to transform culture — that’s why we're shaping the next generation of artists and innovators with academic excellence, unparalleled creativity, and an authentic community centered on Jesus Christ. 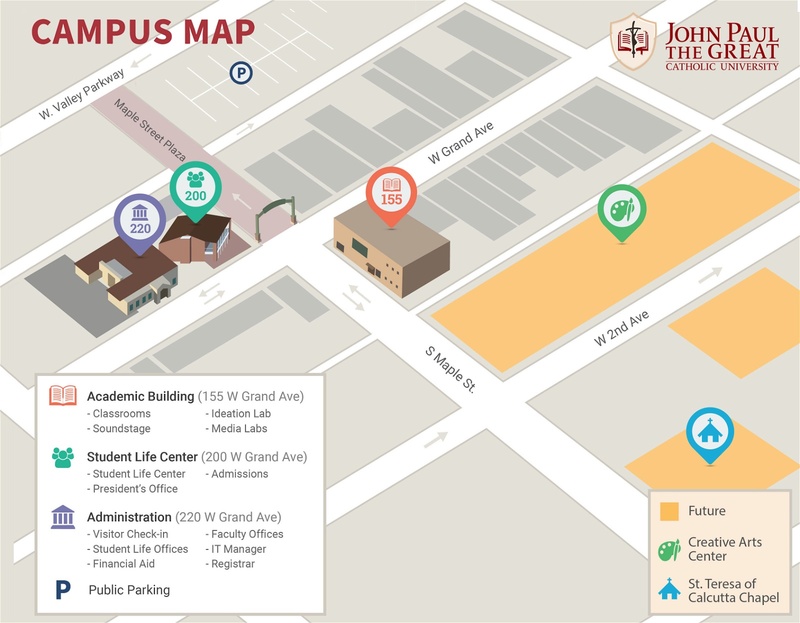 John Paul the Great Catholic University, which opened in September 2006, is a visionary teaching institution focused on and dedicated to molding students into future innovators and creators, leaders and entrepreneurs. Students have the opportunity to acquire a deep and personal knowledge of Jesus Christ. Catholic ethical, moral, and social values provide a guiding compass for everything we do. The Founders are driven by the vision of creating a world-class university for students seeking degree programs in communications media, business, and humanities. JPCatholic currently offers two undergraduate Bachelor of Science degrees, a BA in Humanities, and a graduate MBA degree in Film Production. Read about our degree programs. With our year round structure students finish our undergraduate degree program in 3 years. The curriculum rigorously prepares students to challenge a world in which there is an explosion of knowledge but not of understanding, a lack of trust and ethics in leadership and the media, a need for new enterprises that demonstrate a moral and ethical purpose, and an obligation to recognize the intrinsic human value of its workers. The LaunchPad provides a framework for student teams, with diverse skill sets, to spark new ideas, to unleash talent, and to create opportunities by building new entrepreneurial ventures. Experienced faculty guide the incubation and launch of the student businesses into the marketplace. A vibrant and fun-filled campus that glorifies knowing and living the Gospel of Jesus Christ and is faithfully and compassionately Catholic. Degree programs in communications media, business and theology on the frontiers of applied learning. 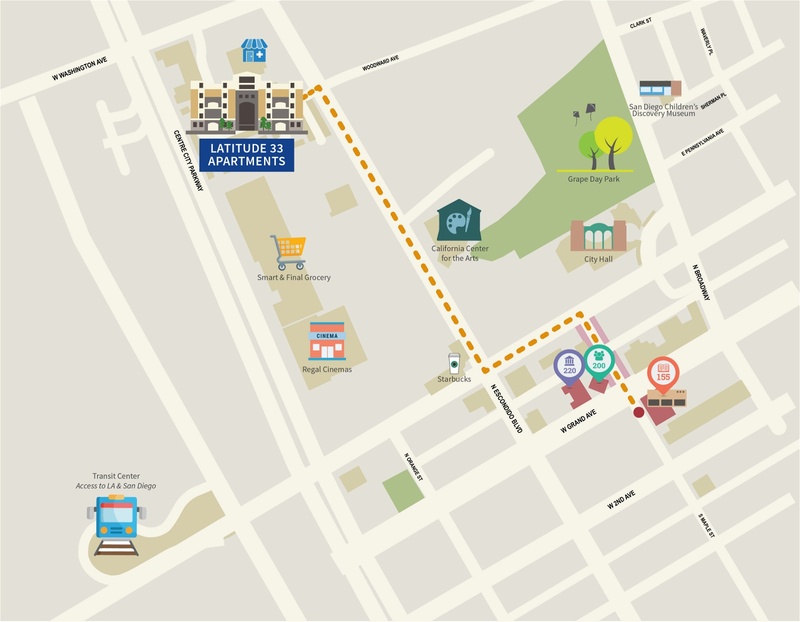 A hub of applied innovation and creativity, leadership and entrepreneurship. Senior faculty who are seasoned innovators and creators, leaders and entrepreneurs.